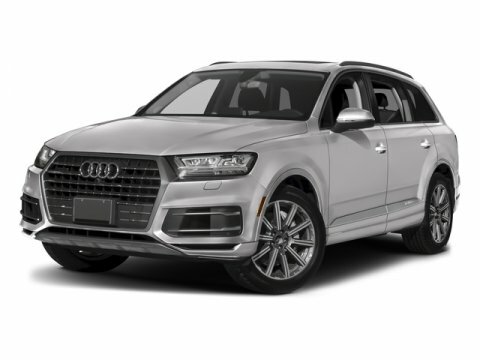 Find a great sale price on this 2018 Audi Q7 3.0 TFSI Premium Plus at Keyes Cars in CA. This 2018 Audi Q7 is located at our State dealership in California. We serve the cities of Van Nuys, Valencia, Woodland Hills, Mission Hills, and Los Angeles. So if you're looking for a great price on this 2018 Audi Q7 3.0 TFSI Premium Plus or just looking to get an auto loan for the vehicle you want... you've come to the right place! Keyes Cars. Progressive design and timeless beauty are the hallmarks of the 2018 Audi Q7, creating a striking presence on both city streets and dusty back roads. Details such as the powerful wheel arches emphasize the vehicle's standard quattro all-wheel drive system, creating a look and feel that can take you to places far and wide. The standard power tailgate with programmable opening-height adjustment can feature an available hands-free opening function, where the tailgate releases and raises or closes after you sweep your foot under the rear bumper. Lavish creature comforts and cutting-edge innovation are expertly woven into every corner of the spacious, ergonomic environment of the Q7. Both versatile and intuitive, everything you need is clearly visible and easily accessible, allowing you to enjoy the luxury of the ride to the corner café or your favorite mountain overlook. The lightweight suspension of the Audi Q7 is an all-around MVP, offering a ride that is extremely comfortable, agile and engaging. On the road, shifts happen. Constantly moving vehicles, traffic and obstacles. The Audi suite of advanced driver assistance technologies can help alert you to some of the unpredictable shifts that come your way.